A look at exciting residential and retail real estate projects in the area. This converted historic building at 41 Flatbush Avenue is now home to 260,000 square feet of commercial office space, with 27,000 square-foot floor plates. The interior has exposed wood beams, tall ceilings, abundant light and is reminiscent of classic Brooklyn warehouse space – steps from the vibrant Brooklyn Cultural District. 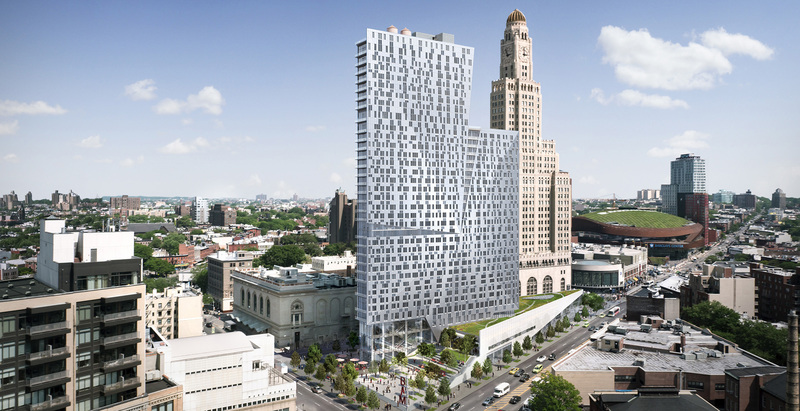 The leasing office is now open for The Hub, a 55-story tower comprising 750 apartments located at 333 Schermerhorn Street. Leasing began recently with occupancy slated for the spring. 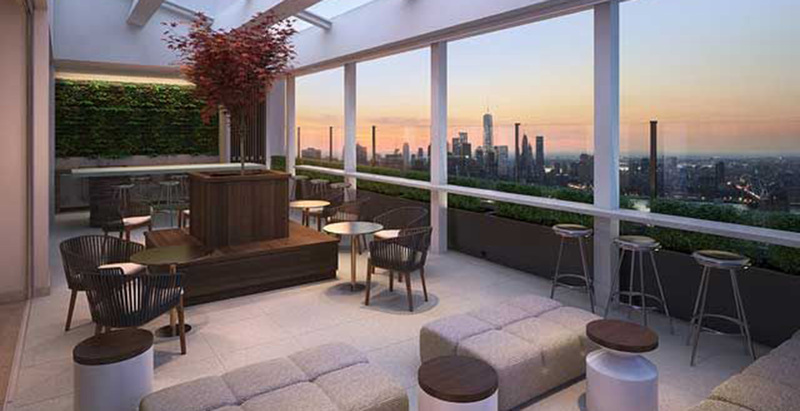 While the Hub’s prime location in Downtown Brooklyn alone is highly desirable, the building also provides more than 40,000 square feet of amenity space, including grilling cabanas, a landscaped terrace, and a 75-foot long pool. The Ashland is a 53-story residential building with 585 rental units, a rooftop sundeck, indoor and outdoor lounge space, grilling cabanas, an outdoor movie screening area, and an expansive gym. Located in the heart of the Brooklyn Cultural District, The Ashland is a short walk to Fort Greene Park, next door to the Theater for a New Audience, and a few hundred feet from BAM, BRIC, and several other Brooklyn cultural institutions. 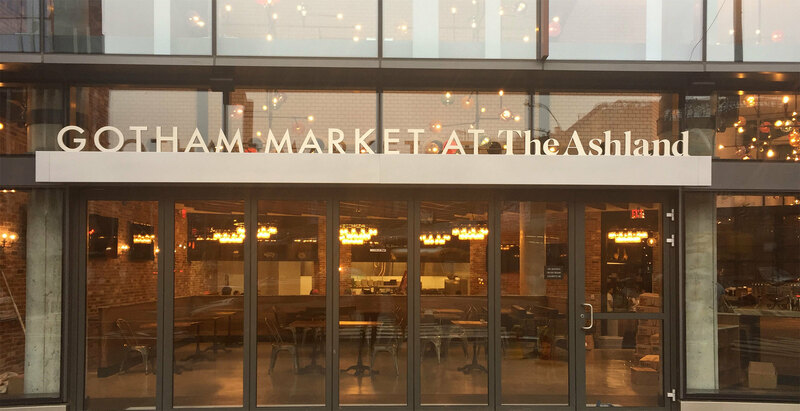 Residents receive discounts at all six Gotham Market restaurants, located in the base of the building, including The Crabby Shack, Mason Jar, Bar Granger, Flip Bird, Apizza Regionale, and Boqueria. 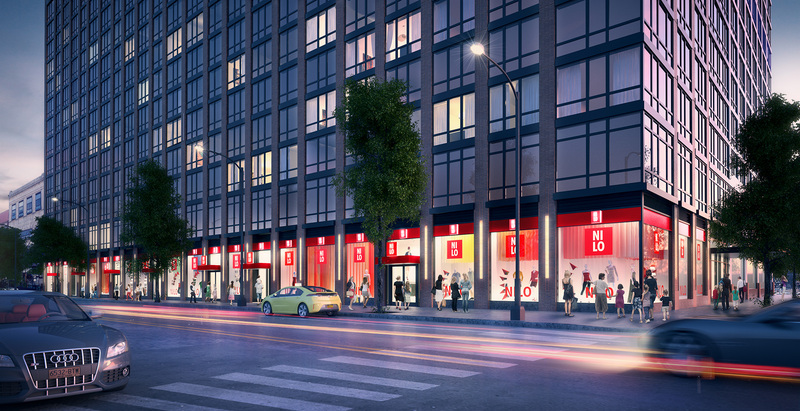 Located on Ashland Place in the center of the Brooklyn Cultural District, 300 Ashland stands 32 stories high with 379 residential units and will be home to 365 by Whole Foods Market, an Apple store and an extensive public plaza. What sets this residential tower apart, however, is its extensive on site cultural offerings. 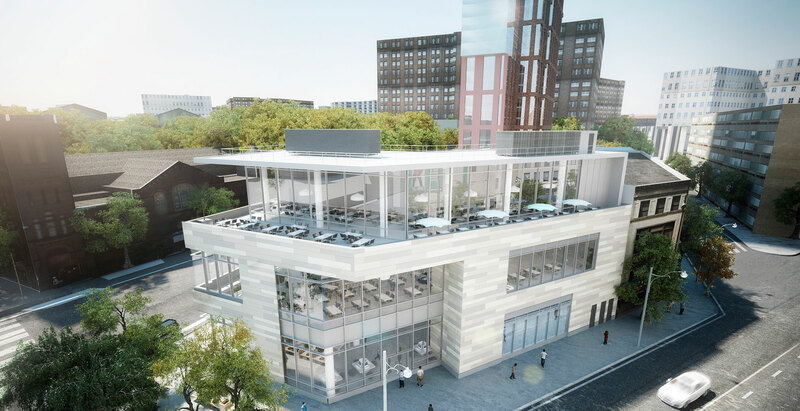 300 Ashland will be home to four BAM Cinema screens, a dance studio by 651 arts, the Museum of Contemporary African Diasporan Arts and a branch of the Brooklyn Public Library - all steps from 11 subway lines and the Barclays Center. Located at the intersection of Willoughby and Duffield Streets, Avalon Willoughby Square and AVA Downtown Brooklyn are two residential buildings right in the heart of Downtown Brooklyn that - combined - offer the largest number of residential units in neighborhood. AVA Brew Coffee at its ground floor has the best chocolate chip cookies in town (according to DBP staff) and amenities include an expansive gym, a dog run, vast indoor and outdoor space, and an entrance to the Jay St – MetroTech subway station in the base of the building. 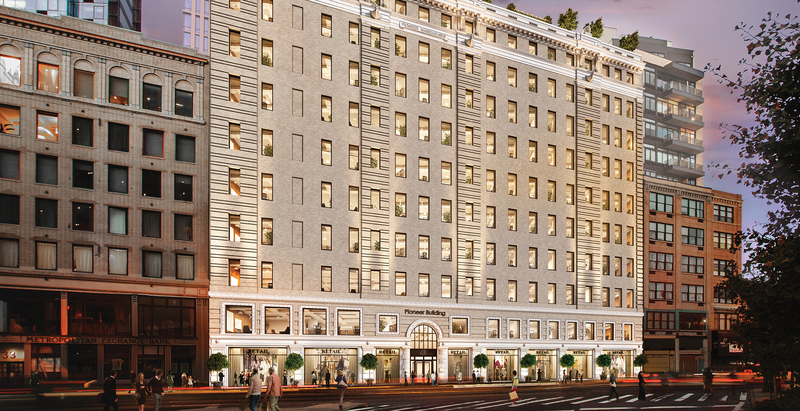 300 Livingston is an upcoming residential building with a major retail footprint that is transforming the Livingston and Schermerhorn Street corridors. With 714 residential rental units set to come online in 2017, retail space at 300 Livingston has more than 250 feet of wraparound frontage available for lease now. Collectively, 300 Livingston offers over 50,000 square feet of retail – including 30,769 square feet on the ground floor with 17-foot ceiling heights. Stay tuned for updates on residential leasing opportunities.